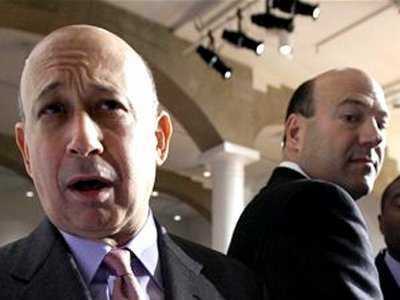 This just in from Reuters, Goldman Sachs is about to begin a fresh round of job cuts. They could begin as early as next week and will hit the equities business harder than fixed income.Goldman usually cuts the fat from its firm around this time of year, but that number is usually at around 5%. According to Reuters, this year’s cuts are supposed to be bigger. I’ve never had a day at Goldman Sachs where i thought the firm was perfectly sized. At the bottom of the market you feel too big, at the top you feel way to small, and in the middle you’re trying to gauge not only what’s happening today but also what’s happening tomorrow. Based on where we are today we feel like we’re in a pretty go position, but I can change my opinion on that tomorrow. 2013 has already been pretty ugly for Wall Street. Morgan Stanley already cut 1,600 workers and cut compensation by about 9% since last year. JP Morgan, UBS and Barclays have already gotten hit as well. After this next round it will be time to do another street-wide body count to see how much closer we are to the dire prediction of 50,000 layoffs Meredith Whitney made back in July.